Mundy Structural Steel has over 20 years of experience in structural steel erection for residential and commercial projects. All of our team are fully trained in providing a range of services – including the supply and fitting of structural and stainless steel – to ensure the efficient completion of your project to a high standard. 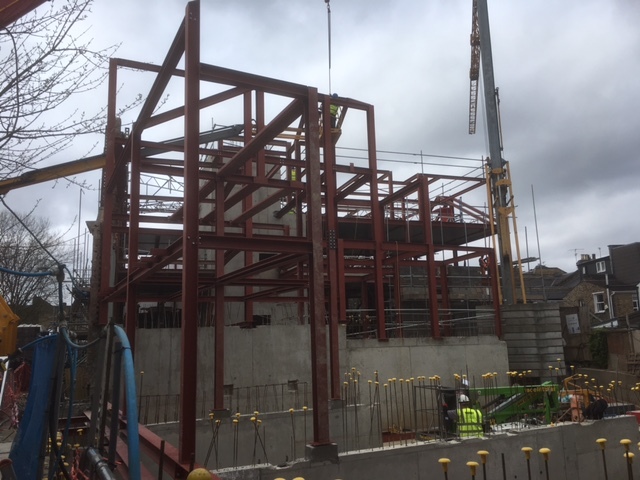 If you would like to hear more about what Mundy Structural Steel can do for your construction project in London, please contact us today by calling 020 8818 6930 or filling out our contact form. Our workshop is based in Feltham, Middlesex, which places us perfectly to provide structural and stainless steel throughout Greater London. We are less than 15 miles from the centre of London, making all projects in the area well within reach. 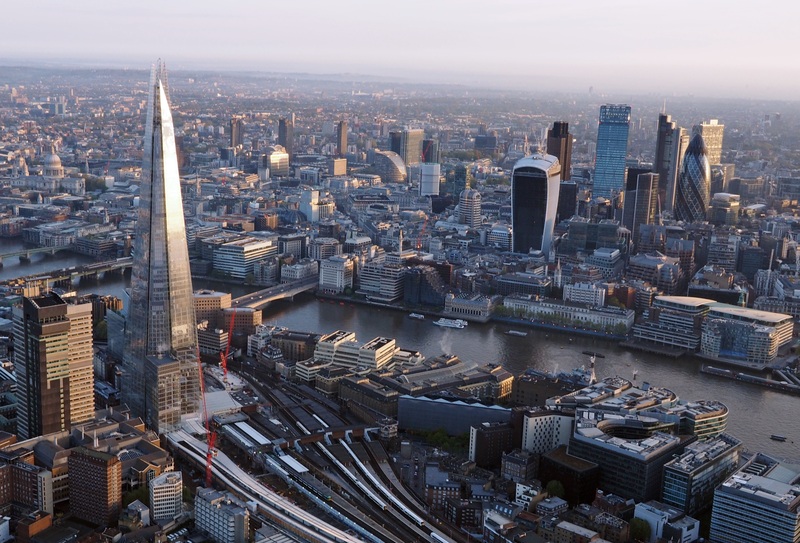 Having provided exemplary structural and stainless steel for projects throughout London for our long tenure as reputable contractors, we have earned various accreditations from recognised industry bodies. These include Quality Systems Certification (QSC), Alcumus ISOQAR, and Safety Management Advisory Services (SMAS). What’s more, all of our employees are fully insured and trained to adhere to the latest HSE (Health, Safety, and Environment) standards for the steel erection industry. We have recently worked on large steel erection projects in London that required the provision of over 400 tonnes of structural steel. One of these projects was the conversion of an old theatre in Wandsworth, London, into 5 townhouses and 21 apartments. We provided 130 tonnes of steel for the facade of the building. 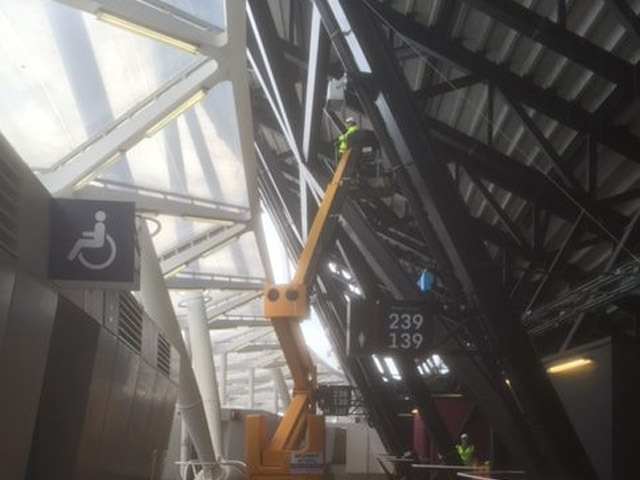 We also helped with the conversion of the London Stadium for use by West Ham United, providing 160 tonnes of structural steelwork for erecting mainframe banners. This made for the London Stadium having the largest stadium wrap in Europe. 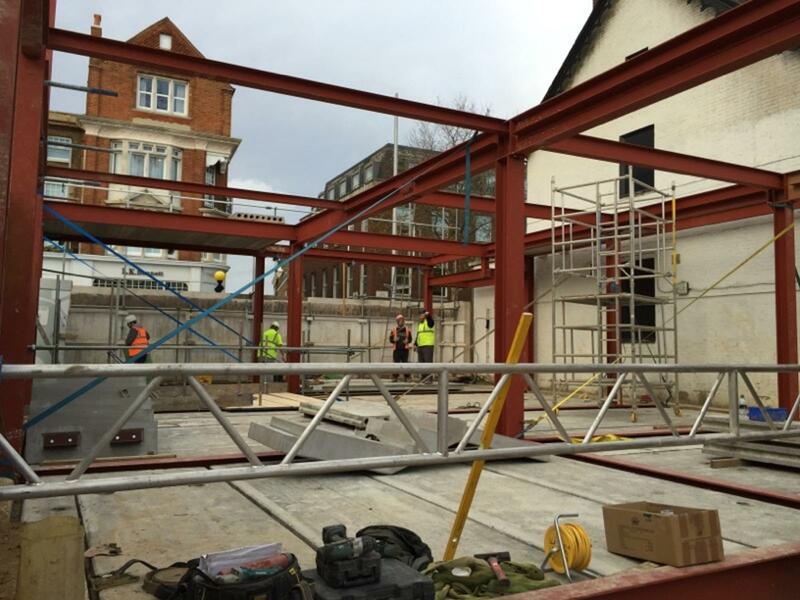 If you have a project in London that requires steelwork – structural or stainless – get in touch with us here at Mundy Structural Steel. We have experience in a range of different industries, for various clients that include Walter Lilly, Lindum, and many more. Our workshop is based in the Marlin Park industrial estate in Feltham, which is close to Heathrow Airport in Greater London, so we have great transport access to the local area. If you’d like to hear more about what we can do for you, please call on 020 8818 6930 or fill out our online contact form to enquire.